2019 Honda Insight: Honda is all ready to launch its new insight hybrid which debuted at the Detroit auto show 2018. It has all new features, high-end performance and a completely different look which is all set to battle against Toyota’s Pirus. The 2019 Honda Insight hybrid is back and is ready to make a strong comeback. It looks perfectly premium than ever before and all new looks are exceptionally mesmerizing. This hybrid is promising 50 miles per gallon which seems quite interesting. The prototype of this sedan is all set to debut next week at the Detroit auto-show, and Honda believes that this debutante will surely set new records. It’s very interesting to see the remake of the civic model as this model was unable to mark its success in the mob. Still, the Japanese automaker believes that this time with its new design and promising performance, the new civic model will definitely make the customers happy and indeed get positive results. Another mainstream topic of consideration is the five-seat sedan which Honda is currently aiming at. Why did Honda dump the hatch and go with more conventional body style? 1 Why did Honda dump the hatch and go with more conventional body style? That probably because the Hybrid Insight won’t just be picking up where its previous model was left off when its production went off in 2014. It will be followed by picking up the mantle for the Civic Hybrid too. The Civic Hybrid which went out of production in 2015, keeping Honda out of the rivalry list against Toyota Prius and Hyundai Ioniq Hybrid, which gained a lot of fame during this period. 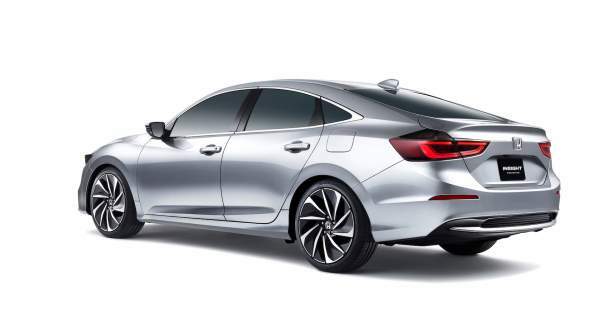 Even though Honda’s decision of bringing back the Insight Hybrid is quite unexpected. It seems that the company has put a lot of efforts to make a perfect comeback and we are all glad and eagerly waiting for the new product. It has been handsomely designed and its design root back to the successful product of Honda, yes you guessed it right, the Honda Accord, which are the roots for civic insight hybrid. The front end styling which completely resembles its big brother, coming up with similar gimlet-eyed LED headlamps along with forward-leaning grille, in addition to its new rakish roofline. Well to describe its genetic makeup, Honda has kept a lot of secrets and hasn’t revealed anything much about it. While genetic makeup remains a secret the company has provided some of its performance specifications. The company says that the engine will function continuously like a generator in almost all the challenges and circumstances, with its 1.5 liters four backed by a new two-motor hybrid system will deliver a highway/city EPA fuel economy ratings of 50 miles per gallon. These numbers are really unexpected looking at its previous models. Well, these numbers are really tough to forget and we expect that this hybrid insight will surely be successful attaining these numbers. Well, lets hope that the company is successful in achieving this numbers which will give a very tough competition to its rivals. The Honda hybrid insight also comes with lithium-ion battery pack underneath the rear seats, the company also said that the will get the split-folding seat backs. Well, considering its cabin space, the hybrid insight is available with an amazing 8-inch touch-screen infotainment system with customizable applications, and it offers the control of this infotainment system with android auto and apple car play integration. The company designed the new Accord and Odyssey models infotainment system with some wifi enabled over the air updates. Other new features include perforated leather seats with cooling and heating, and in addition to it is the 7-inch LCD in the gauge cluster. The Honda sight hybrid will feature an advanced driver assists technologies. Along with lane-departing warnings, standard auto-brakes, adaptive cruise control with low speed follow, and the all-new traffic sign recognition system. The price of this product has not been revealed yet, but the company said that it will place the insight hybrid “as a premium compact above Civic,” so we can expect MSRP’s to start with number “2” and not a number “1” . moreover, an all new 2018 Toyota Prius starts at $24,370, and the Hyundai’s Ioniq starts with $23,408, so looking at the above price tags of its rivalries, we can expect the price range near to that of its rivalries. 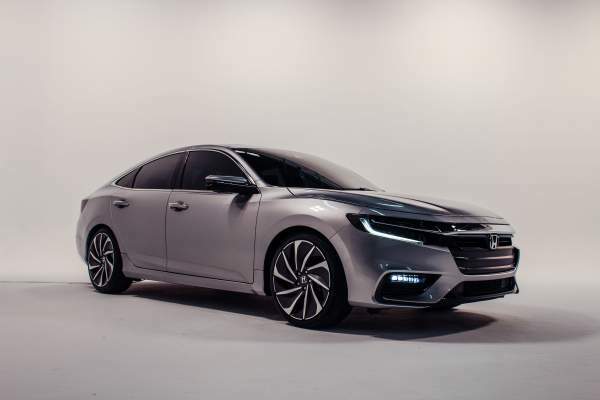 The Honda is ready to deliver the dealers later this year, the Insight hybrid will be the fifth new electrified auto product brought to the market by Honda in a year. The company’s triple combination of the clarity models (fuel cells, EV and PHEV) have already reached showrooms, and the new Accord hybrid 2018 will soon be included in this group.